Chairman of Warri South Local Government Area, Hon. Michael Tidi has expressed utmost joy and immense gratitude to God for adding another glorious year to the life of Delta State Governor, Dr. Ifeanyi Okowa who clocks 59, today Sunday July 8. Hon. Tidi in a goodwill message made available to newsmen in the wee hours of today, described Dr. Okowa as a destined leader whose rise over the years in terms of political and administrative qualities, serve as inspiration as well as reminder to the younger generation that they can attain any height in leadership they so desire. 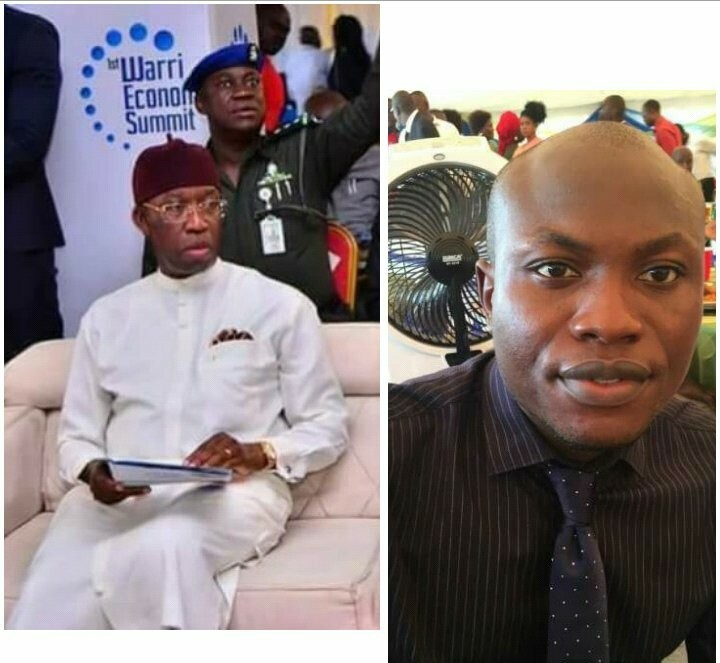 The Warri South Council Chief Executive while describing Governor Okowa as his Boss and political father, assured Dr. Okowa that the good people of Warri South Local Government will continue to support his administration as he strives to improve the living conditions of Deltans. He prayed God to grant Dr. Okowa better health, greater vision and wisdom in his resolve to build a Delta State of "our dream where everyone will testify to the overall socio-economic, human capital and infrastructural development".